Balanced eating is key to staying healthy if you have diabetes. In this diabetes meal plan, we include recipes with a healthy balance of complex carbohydrates, lean protein, heart-healthy fats and plenty of veggies. Balanced eating is key to staying healthy if you have diabetes. In this 7-day diabetes meal plan, we include recipes with a healthy balance of complex carbohydrates, lean protein, heart-healthy fats and plenty of veggies. What you won't see tons of are refined carbohydrates (think white bread and white rice), added sugars, saturated fats and sodium in large amounts—things that can negatively impact your health if you eat too much, especially if you have diabetes. These dinner recipes are simple and delicious meals the whole family can enjoy, with or without diabetes. Each meal in this plan contains 2-3 carb servings (that's 30-45 grams of carbohydrates), to help keep blood sugars in check. Depending on your individual nutrition needs, you may need more carbohydrates at dinnertime. Browse our other delicious diabetes-friendly dinner and side dish recipes for even more delicious dinner ideas that work if you have diabetes. 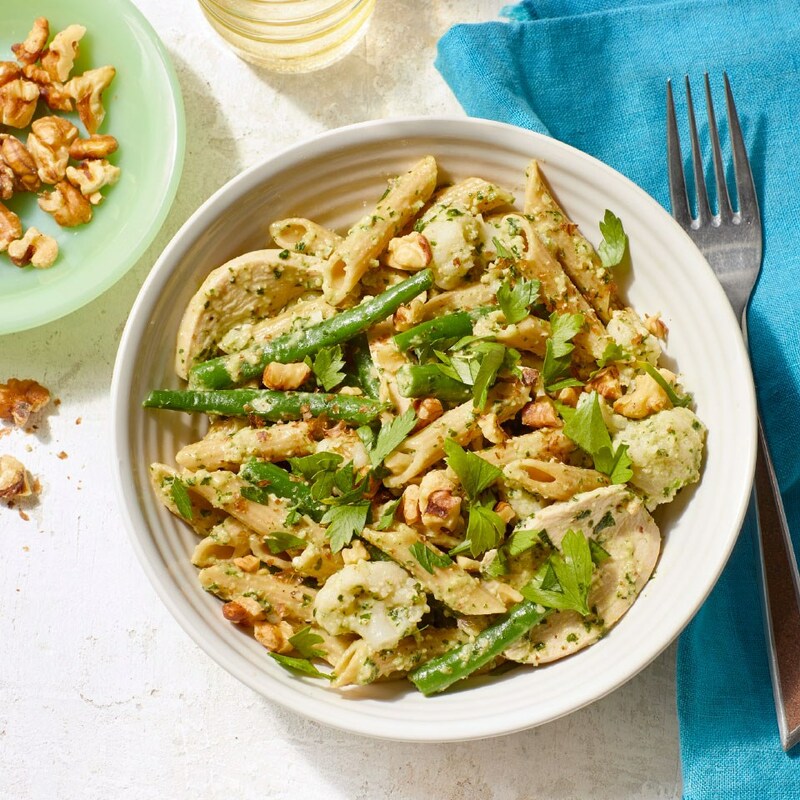 Chicken & Vegetable Penne with Parsley-Walnut Pesto: Homemade pesto may seem daunting, but in this quick pasta recipe you can make a simple sauce in minutes while the pasta water comes to a boil. Packed with veggies and lean chicken, this pasta dinner has a nice balance of carbs, fiber and protein, to help keep your blood sugar balanced. You can substitute frozen green beans and cauliflower for fresh. 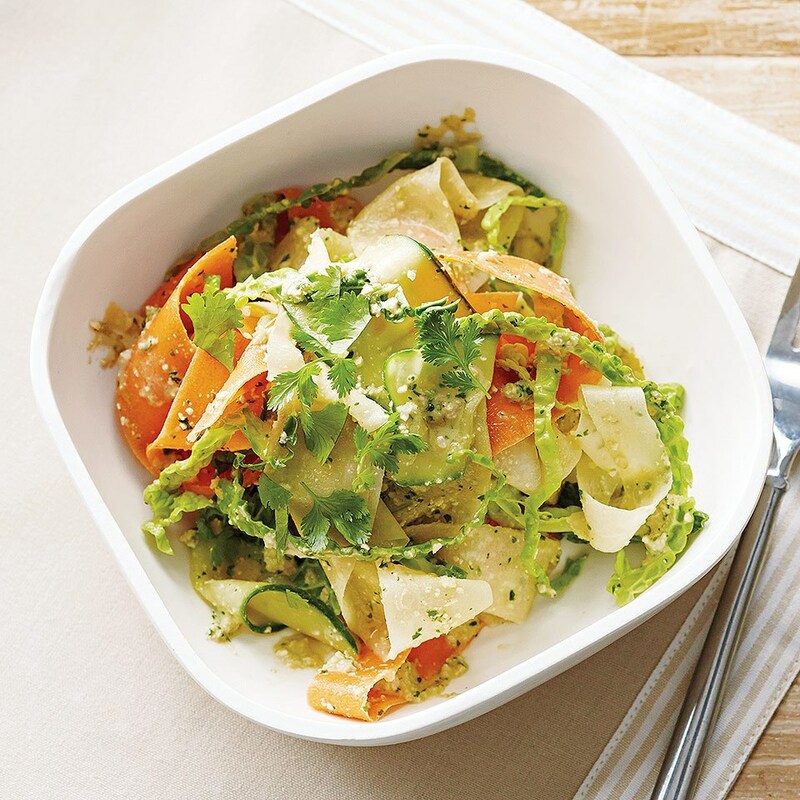 Cashew-Cilantro Pesto with Veggie Noodles: Quick work with a vegetable peeler transforms colorful vegetables into noodles for this fresh and spicy Asian-inspired dish. To amp up the protein content and give this dish more staying power, add 1/2 cup edamame. 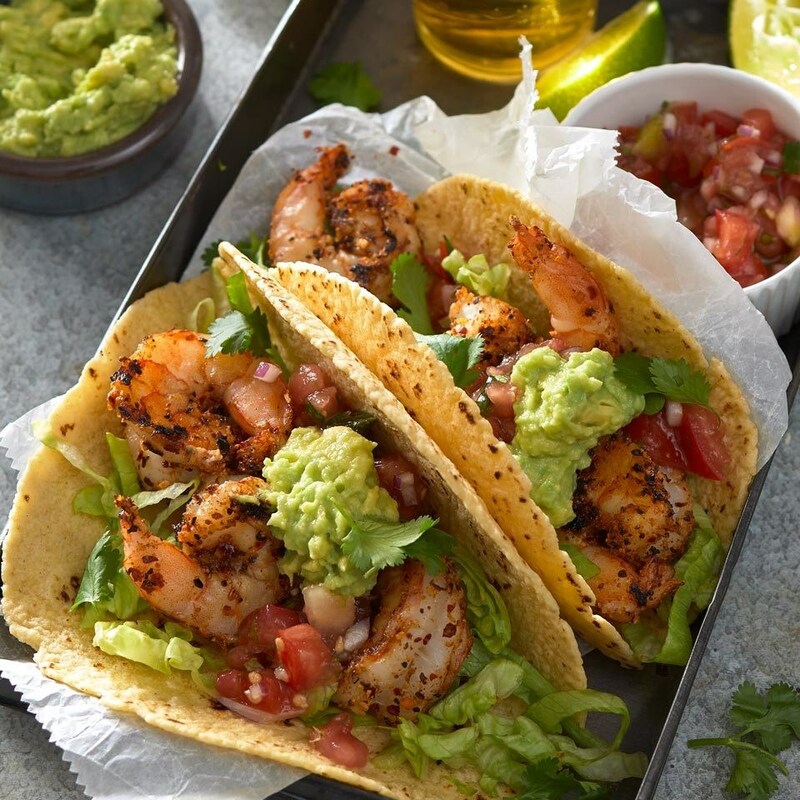 Grilled Blackened Shrimp Tacos: Give juicy shrimp tacos a Cajun flavor spin with spices and a quick sear on a hot grill. An easy avocado mash adds creaminess to cool off the spicy kick. Serve with the Orange & Avocado Salad to round out the meal. 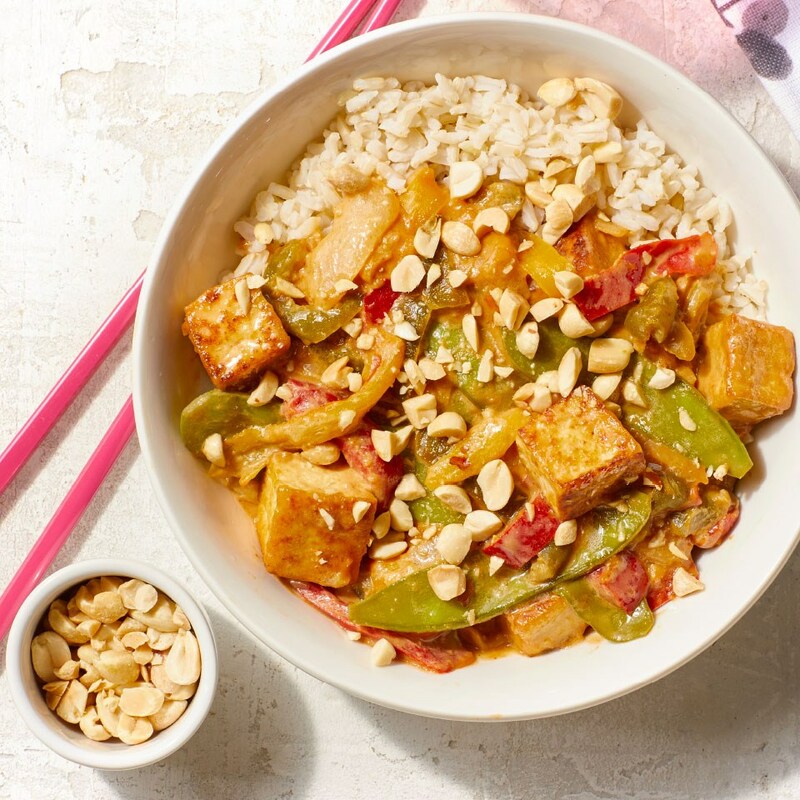 Tofu & Snow Pea Stir-Fry with Peanut Sauce: A fast dinner recipe perfect for busy weeknights, this easy veg-heavy stir-fry recipe will quickly become a favorite. To save time, use precooked rice or cook rice a day ahead. 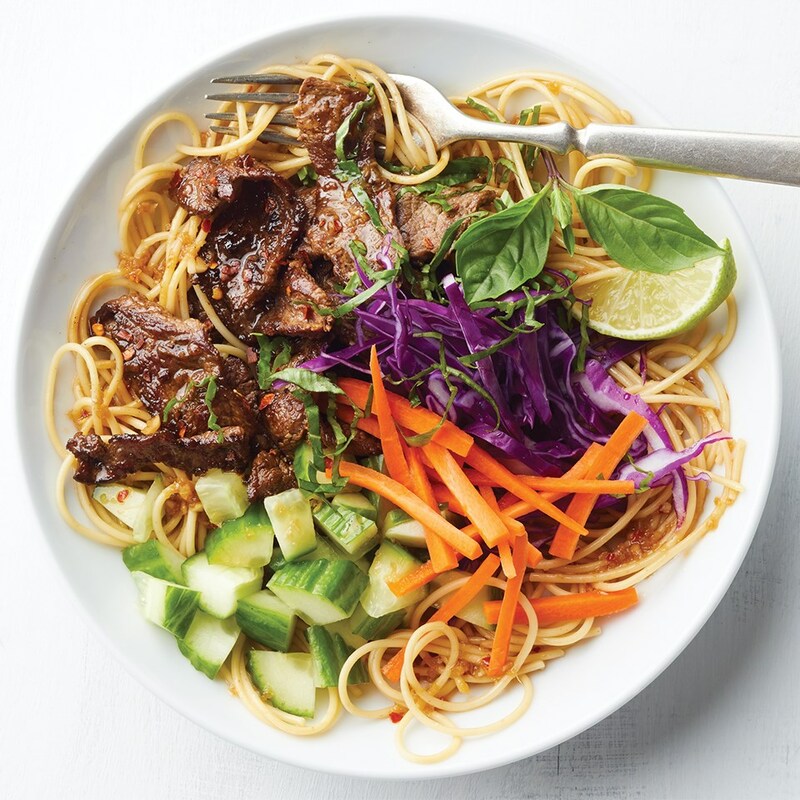 Asian Beef Noodle Bowls: The tangy sauce in these Asian noodle bowls makes this dinner a home run. We opt for whole-wheat pasta and pack in the veggies to keep things balanced and juicy strips of steak add filling protein. Serve with 2 cups of mixed greens topped with 2 Tbsp. Citrus Vinaigrette to round out the meal. 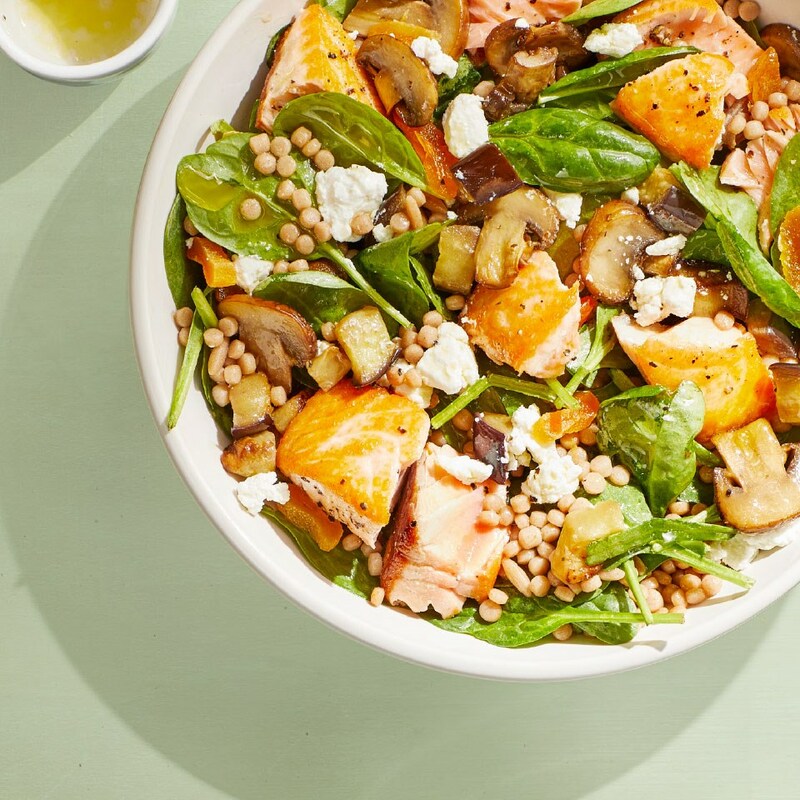 Salmon Couscous Salad: This healthy and easy salad is designed to be made with precooked or leftover salmon. To quickly cook salmon, lightly brush with olive oil, then roast in a 450°F oven until the fish is opaque and firm, 8 to 12 minutes. 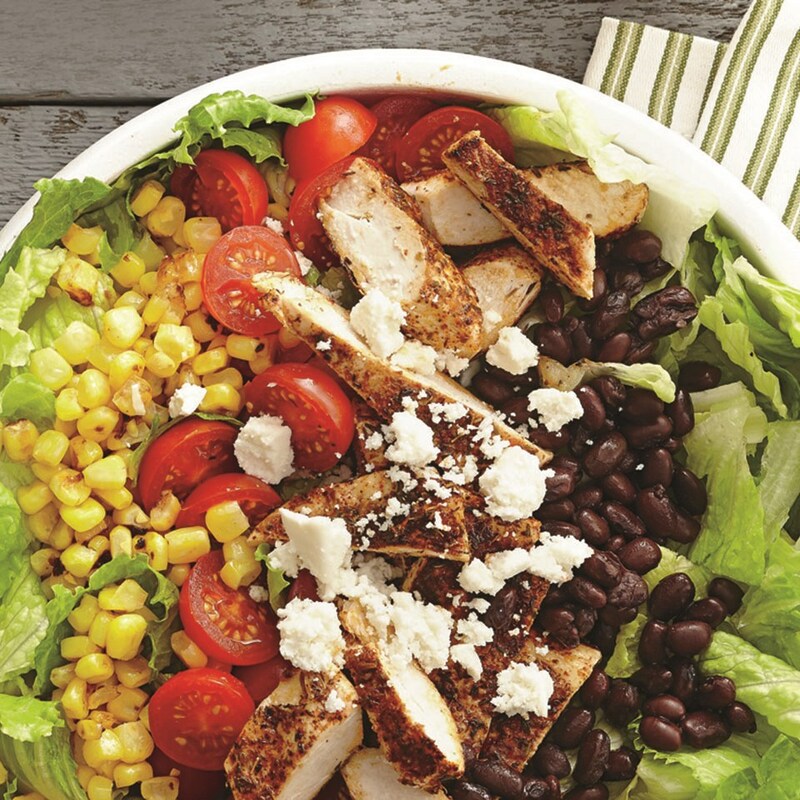 BBQ Chicken & Roasted Corn Salad: This main dish salad recipe combines chicken, corn, black beans, and tomatoes. Topped with queso fresco cheese and flavored with barbeque sauce, it's a great choice for a quick dinner.